Best way to get scratches off engine case? 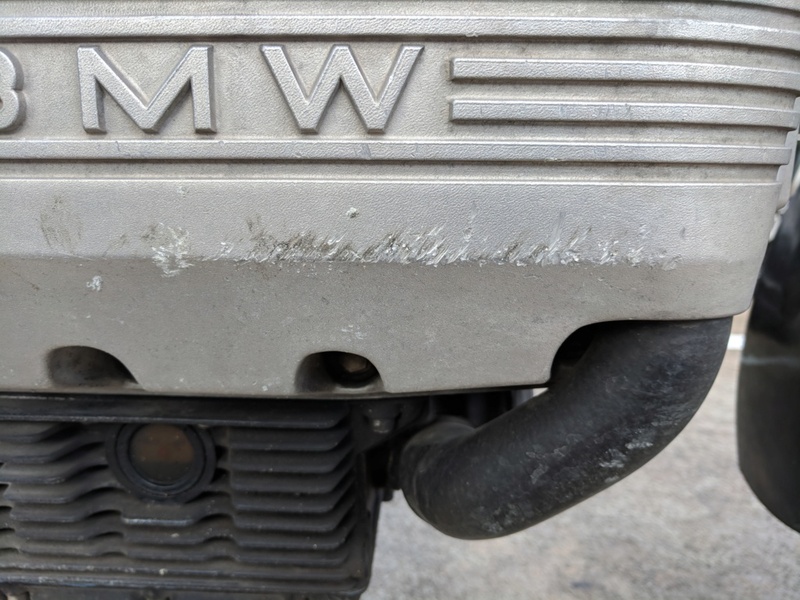 K100-forum.com » Technical, repair and troubleshooting » Engine and transmission » Best way to get scratches off engine case? Any tips on how to get this looking smooth again? I’ve tried to do the same on the cam cover and due to BM’s cast finish all you end up with is a bright spot which looks worse! If it bothers you that much a second hand cover can be had cheaply. Personally I would flatten with emery paper and paint black/crackle black. @nobbylon wrote: I’ve tried to do the same on the cam cover and due to BM’s cast finish all you end up with is a bright spot which looks worse! If it bothers you that much a second hand cover can be had cheaply. Personally I would flatten with emery paper and paint black/crackle black. +1. Flat black or crackle will minimize the visible difference in surface finish. If you don't want to paint it, file and sand out the marks and then take it to a good media blaster. A competent one should be able to get satisfactory results. If you have access to a compressor and blaster you could do it yourself but you would need to research the type of media needed. These days there are a multitude of options. Martin's idea will give the best OEM results by far. It'll look a bit bright for a while until the corrosion takes hold again.